× 8 = 56 Required Please enter the correct value. Investors in the Dow Jones today are hoping to build on yesterday's 178-point gain after the Nasdaq closed at a new all-time high. 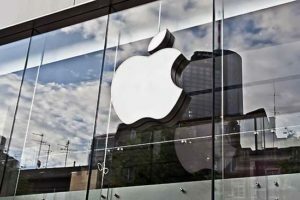 Much of Monday's market momentum was the result of a rally in tech stocks, with Apple Inc. (Nasdaq: AAPL) nearing $1 trillion in market capitalization. Investors have largely shrugged off concerns about U.S. trade policy with its global trade partners and are instead focusing on last week's strong jobs report in order to drive returns. With gold prices sitting under $1,300, we think it's a fine opportunity to buy and hold the precious metal. But Money Morning Resource Specialist Peter Krauth has found a way to make even more money in the short term. He's focusing on disruption in the global markets. And today, he's unveiling a company that can make you a fortune without ever having to pick up a shovel. Today, expect to hear a lot of chatter about corporate investment in the United States. The Business Roundtable – perhaps the most powerful corporate lobby in the country – will provide its results to its second-quarter economic outlook. The firm will outline how much money its members are planning to invest in the United States through the end of 2018. It will also provide its own forecasts for GDP and sales. Starbuck's Corp. (Nasdaq: SBUX) Executive Chair Howard Schultz announced he will depart the company. Many are speculating he will pursue a career in politics and potentially seek the Democratic nomination for president in 2020. Schultz had previously denied any speculation around a role in government; but his recent comments suggest that "public service" will be a part of his future plans. Gold prices dipped below $1,300 per ounce as markets continue to speculate on the likelihood of additional interest rate hikes in 2018. We believe this is solid buying opportunity for investors. The reason why gold is going to get a nice boost: ongoing trade tensions between the United States and the rest of the globe. Money Morning Resource Specialist Peter Krauth provides his insight on where gold prices are heading next and how you can make big gains in the weeks ahead. Apple Inc. (Nasdaq: AAPL) is on the verge of becoming the world's first $1 trillion company. The stock pushed above $192.60 per share in pre-market hours after its first day at the Worldwide Developers Conference. During the event, the company unveiled its new mobile operating system, called iOS 12. The firm also unveiled a suite of tools designed to combat technology addiction. Shares of Twitter Inc. (NYSE: TWTR) jumped nearly 4% on news that the social media company is about to join the S&P 500. The company will join on Thursday morning and will replace agribusiness giant Monsanto Co. (NYSE: MON). The news comes as Monsanto is in the final steps of its merger with German chemical giant Bayer AG (Nasdaq: BAYRY). Shares of Societe Generale SA (ADR) (OTCMKTS: SCGLF) are in focus after the U.S. Justice Department announced the French investment bank will pay $1.3 billion to settle two ongoing legal headaches. The company bribed Libyan officials and manipulated LIBOR, a benchmark interest rate on which most financing is based. Legg Mason Inc. (NYSE: LM) also paid about $64 million to settle a similar probe on Libyan bribery. Look for earnings reports from Ambarella Inc. (Nasdaq: AMBA), HD Supply Holdings Inc. (NYSE: HDS), YY Inc. (Nasdaq: YY), and Guidewire Software Inc. (Nasdaq: GWRE).